This is a remarkable book written and read by the author. I enjoyed every minute. Told with compassion and insight, we learn about the early life up through the presidency of one of the most iconic women of our times. Clearly, her love for her parents and her family is foremost. Her education and her desire to be “good enough” is compelling as one listens to her story. It is an intimate, personal and powerful story of the first black First Lady of the United States. 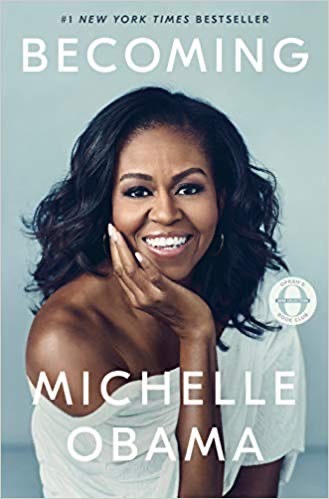 In beautiful writing, she describes her days at the White House and the multiple initiatives she became involved with. Of particular interest to me was her work with and for children. Her story compels us to be what we aspire to. It is well worth reading. You will enjoy the return to a gentler, kinder America!! !